Next Places is a book for anyone reaching a point of change in life – the young adult moving from school to the world, the professional who is no longer satisfied with his or her work, the person making the transition to another town or a new relationship, the baby boomer contemplating how life will be once out of the workplace, or an older person continuing to open up new paths toward wisdom. Rather than laying out a universal quick fix for dealing with change, Harvey Sarles’s meditations entice readers to find their own senses of self-clarity. 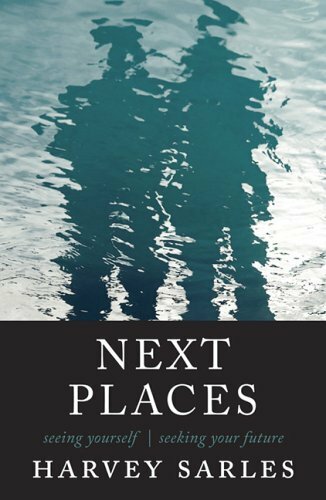 Next Places helps readers seek and define guideposts within their own experience, rather than seeking their soul or destiny in places outside of themselves. The idea is to handle change by growing oneself in one’s own terms whatever these might be at any given time in life. Each person’s path will reveal itself in ongoing meditations. But Next Places is not just for the individual who is experiencing life change. It is a rich compass for any reader who is interested in self exploration and contemplation. There are: places, nations, cultures, times where youth is directed toward a search for some essential being… vocation, calling, vision. Future portrayed, choices to be made early. Search for the true way in life, to be discovered, to be told by some force. it is who one is, who you are. You of past, you of future. An anchorage, a place to be, to return to. A quiet place in a changing world. That vision: may turn sour, static. Long ago. That vision: a source of power, energy, motivation, was and is not now. That vision may cripple. A vision may cripple in its finality which endures. A decision made in youth. That vision may yet determine today, updated or not. A faith in youth-ful good taste? to measure what is now. Which visions contain the space for approaching times? whilst being able to live in the present and for the future. To maintain integrity in terms of some vision of self, is not difficult. I have merely to suspend present observation and judgment; To bend interpretation in the direction of what and who (I) was. Do they not tell me what is, now? what we believed they were, at about the time when a vision-of-self became firmly engrained. version of myself in the world. I am at war with my own history! Who are we? Who made us? How did we become our selves? We are our own studies in self. That I may see you, study you, know you, And become the character that I would be. Kierkegaard didn’t know how either, but suggested a powerful contrast for our contemplation. From the cultural “outwash” city of Copenhagen last century, where everyone (like the Twin Cities) seems to “be” a Lutheran, he deplored the joining of any church, and implored each of us to re-enter the life of the deity: for the Christian – Christ. But, he argued, it is insufficient to join the church, to worship or become a disciple of Christ, a mere believer – this is to stand outside of our own Being, of ourselves. Instead we should live just like Christ lived: as a close approximation, as close as humanly possible, to living as Christ…or Mohammed, or the Buddha, or the Great Spirit, or Jehovah, or…In 20th century parlance, we should model our lives like his, but ever more strongly and completely. Not passively to accept, but to act and live… thoughtfully. Experientially, this is not so simple. For Kierkegaard, he was steeped within a family and the church, and reacted violently upon his 25th birthday, to not having “done” anything. For most of us, we are raised by others, within the contexts of their life arrangements and outlooks, and generally operate within their thinking and their outlooks. Most of us, if we enter into life crises, think rather that we have been incorrect, misunderstood, or have otherwise “messed up.” It does not occur, to us, in any “long-life” sense, that we should construct our character tasks. Rather we prepare to be adults, gathering some sense for what that might mean, from those we see, from family, friends, teachers, neighbors. If we experience crises of being, of insistent cries of our own being, of our existence, telling us that all is not so good, they mostly arise somewhat later in life, after we climb the rungs of our own life-ladders, and are either stuck, or find that some supporting rungs have become worm-laden. Was it us, or the times, or the world, the economy,…? It was a time to wonder, what had happened: gone wrong, could it be righted? What next? How to think about it? How to regain, to re-gather the strength and thoughtfulness and humor about being, which we told ourselves – we had loved in ourselves and in one another? this book looks great!!! I am a 32 year old that is about to graduate college. I am ordering a copy as soon as I finish typing this! I found it to be very relaxing. Thanks for joining the conversation and thoughts about your/our next places. Thank you. I’ll try to contribute here as well as on my own blog as I keep reading your work and learn about/from the challenges you take on. About “no going back” – it feels like I’ve finally found the guts and the peace of mind to challenge my self. To take me on. Lots of puppy in me right now! Actually, this is a very exciting moment for me – just beginning a 5-year half-time retirement, but much is opening up. i’ll try to convey some of the more stimulating/interesting. It keeps on going. I can imagine your excitement. I am looking forward to sharing more thoughts with you! 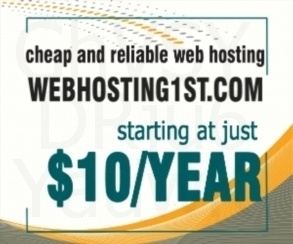 https://uploads.disquscdn.com/images/2703617d0c02153a162c829f85f19cf1a3ee317e65dd2bec1d0fde503b486713.jpg The power reddit has to change anything.